Ramona Quimby participates in a wedding, becomes a big sister, turns 10 and gains a best friend in the final two editions of these wonderful books. We also see Ramona and her sister become much closer and share more times together. In addition, we happily watch as the family situation that has been so stressful begins to ease up. Money is still tight in the Quimby household, but with Mr. Quimby back at work and happier with his job, the entire tone of the family has become more cheerful. 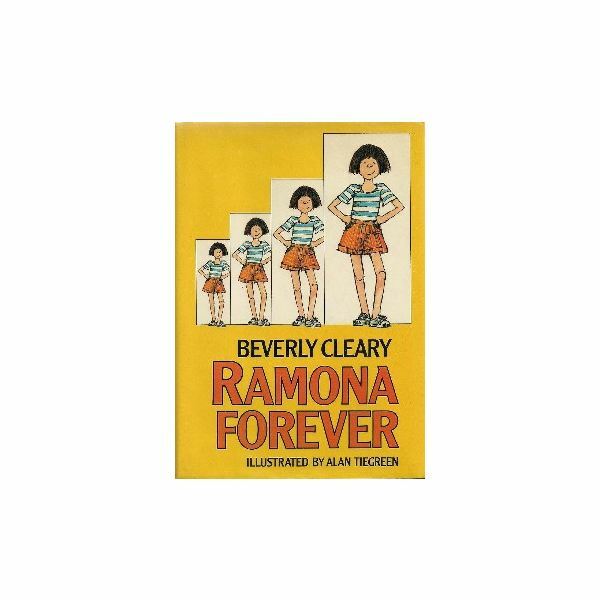 Ramona Forever is the seventh in this series of eight. This book focuses on the second half of third grade. Ramona has to become increasingly used to the idea of change in her life and in lives of friends and family. The family suffers the loss of their cat. Aunt Bea decides to get married. Ramona’s parents have a new baby. All of these changes help Ramona to grow and mature, a little bit at a time. Ramona finally turns 10 in Ramona’s World. The final book in the series examines more of Ramona’s life outside of her family unit as we see her find a best friend at school. This book focuses on fourth grade and Ramona’s budding friendship with new girl Daisy Kidd. We see more of Beezus’ life too, as she goes to high school and discovers boys. Mrs. Quimby is no longer working, but is home caring for baby Roberta. As the series culminates, we see that the Quimby family has gone through many changes. Each PowerPoint download offers a basic summary of each book followed by thoughts, talking points and discussion questions for various topics within each book. A journal topic is offered for writing assessments when the students finish reading. In this four-part article series, you will find tools and tips to help you guide your fifth grade students through reading, discussing and learning from the Beezus and Ramona novel series with free PowerPoint downloads for each book.